We rent out everything audio/visual related that you need for your next event in the Central Michigan area. If you have a large job we may be willing to travel farther. We can also fill nearly any audio-video-lighting rental needs you may have. We can provide as large or small of a sound system you may need. 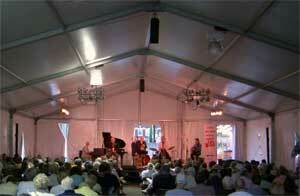 We have completely wireless professional public address systems for your outdoor event. Do you need X number of separate systems all with wireless microphones? Do you need a specific guitar amp? How about a drumset? lighting? multiple projectors? A DJ setup? Do you want on-site technical support during the event? We provide it all. Just call 1-877-Sound-Co or email us. Over 35 years experience with sound systems. (Weekly rate = daily times three) Most rental PACKAGES include delivery, set up, take down and pick up. Rigging rates apply to equipment that is flown overhead. Technician rates are applicable if needed at the event. 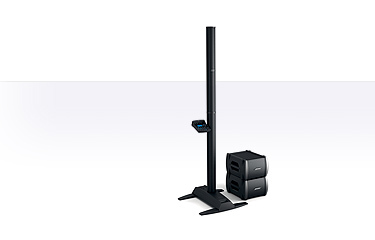 A table or floor stand and cable are included with each microphone rental. A microphone cable and patch cable is included with each direct box rental.